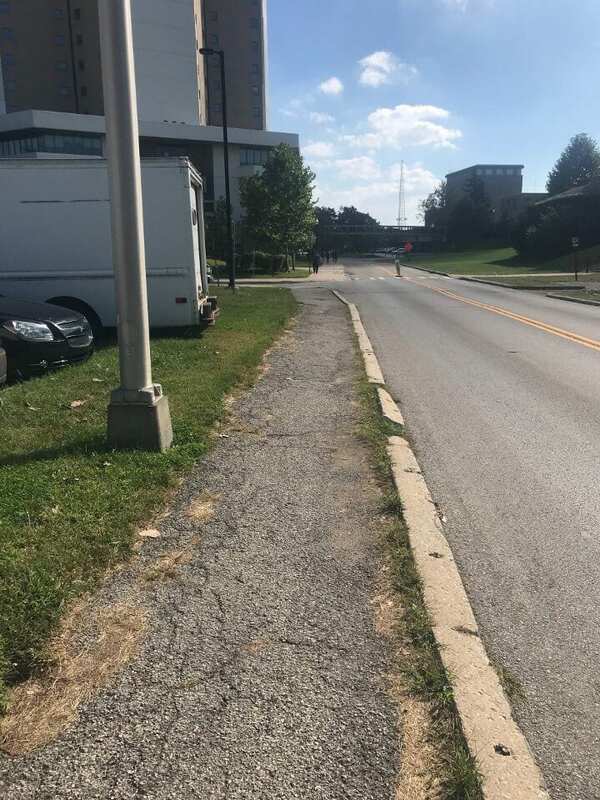 Sidewalks– Cannon Drive has pretty narrow sidewalks for being so close to the stadium, the street however is wide so the cars don’t feel too close to you as you walk on the sidewalk. feels safe. Then the sidewalk on cannon drive just ends, and you have to walk through the parking lot. there is dead grass paths where you can tell people have made their own paths where there should be a sidewalk. Accessibility– After the short period on Cannon Dr. where there is no sidewalk, it picks back up but is in poor shape. The sidewalk is crumbling asphalt which is rough, narrow, close to the street, and definitely not suitable for people with disabilities. There would be no room for anyone with a wheelchair to fit on the poor excuse of a sidewalk, not to mention any motorized scooters. Traffic Flow– after turning into John Herrick Dr., traffic is stopped in the right turn lane. Mass amounts of people are wanting to turn right to get onto 315, but the one right turn lane does not move quick enough to accommodate this. Also, pedestrians are forced to cross John Herrick Dr. when the sidewalk ends on one side. 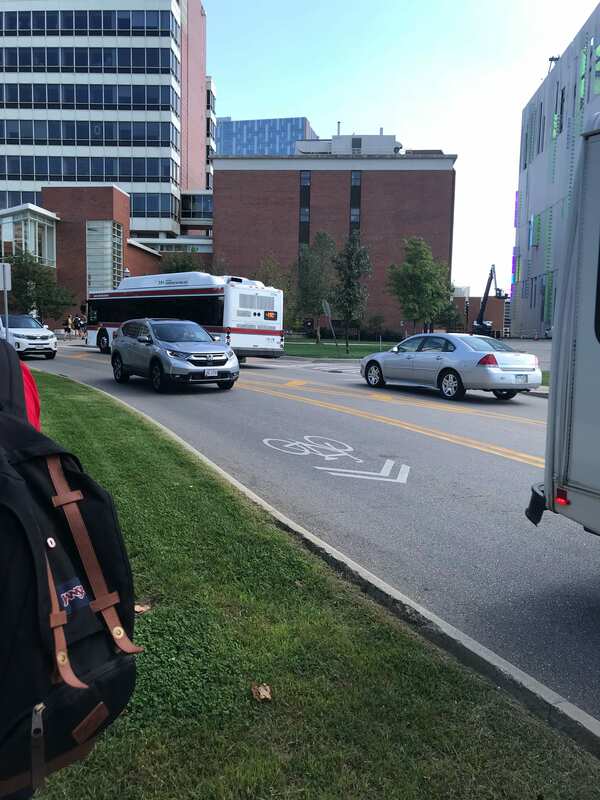 This further holds up traffic in the right lane, especially as many students cross here. Setbacks– Walking along John Herrick Dr., the hospital buildings are extremely close to the street. At one point the building was no more than a foot away from the sidewalk. The buildings which are close to the sidewalk are not very tall, but have taller ones behind it. The feeling created by these squat buildings is not as imposing as if the taller, larger buildings were so close to the street. 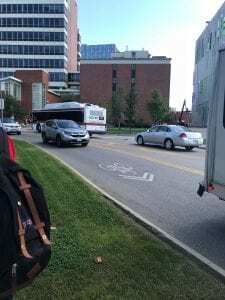 Street Safety– While we were walking on the sidewalk along Cannon Dr., it abruptly ended and led straight into the bus lane. We did not notice, and half of us began walking straight into the bus lane as a bus was approaching.